This level has medium difficulty. For this level try to play near to bottom or near to blockers to break them. 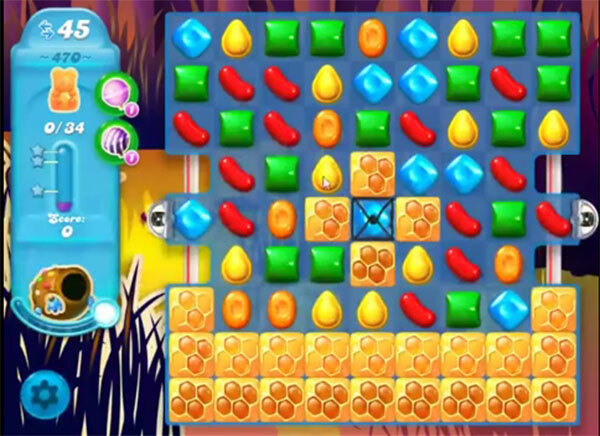 Or make special candy as you get the chance and combine with each other to break the honey blockers to save the bears. Or play near to remaining honey blockers to save all bears. Make striped candy with colorbomb or wrapped candy to break more honey to save bears. Thank you candy crush mom appreciate the help so much you’re the BEST. I’ve been on this level for months!I think it’s time to give up the game! There is no way to beat this level! I have been stuck for well over a week. The honey requires to many hits to break and there are not enough moves. Going to try just a little bit longer and if I can’t get past it, it will be uninstalled!! !